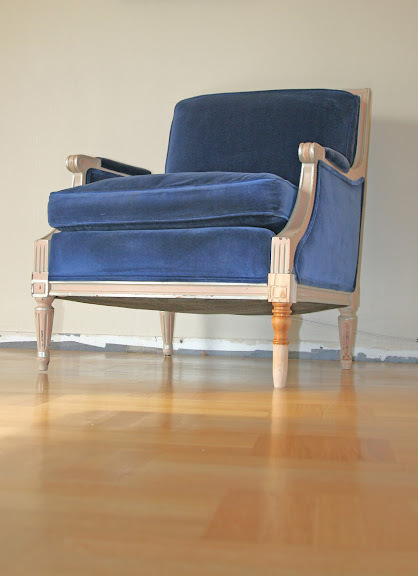 The only piece of furniture that moved with me from the U.S. to Sweden is my blue velvet chair. It has no real monetary value as I only paid $25 at a garage sale. But the funky blue velvet mixed with a pale pink Gustavian frame has become a part of my life story, with entire rooms designed around this sentimental piece. We’re finally reunited after 10 years, and so my blog begins, sitting in my faithful Blue, to share tidbits of my foreign life in Sweden and stumblings across creative genius in every form.